Our forum member nithinr6 has released an eBook - Windows 7 for beginners. Nice work nithinr6!!! I like you efforts. Why is it called a PDF when it is a RAR file? Windows 7 doesn't seem to have anything to open or read a RAR file and I'm not interested in purchasing any of the ones I found via search. Any other way to get the ebook? I usually upload zip files; but somehow I uploaded a a rar file here. Thanks for pointing it out. You can check the homepage again to download the zip files. No need to purchase winrar or any other rar format compression program. 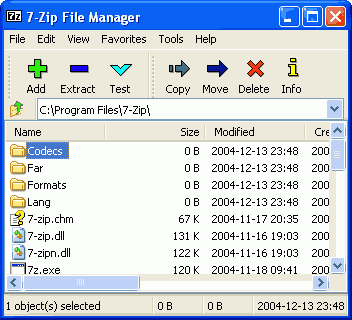 There is a fantastic open source free product called 7-Zip that will unpack a multitude of compressed files including RAR and Zip. Works on all platforms both 32 and 64bit. The original PDF file is compressed to reduce the file size, also other information about the PDF content such as a simple text file or web site link can be included in the RAR file. Hope this helps you to enjoy the ebook.